Trading Point Pro is a new Forex trading product from David Belle. It is being offered through Agora Lifestyles and claims to be able to provide some of the best Forex trading advice online. The fundamentals of what is on offer with Trading Point Pro is very straight forward. 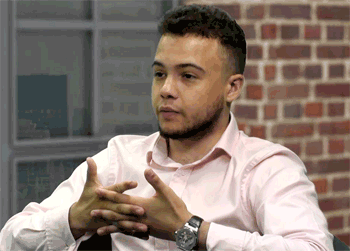 David Belle says that when you subscribe, you will receive his “very best trading ideas for the next 30 days”. Given that he is a newbie to the Agora Lifestyles Financial Team, there is initially some question over just how good a thing this is. 1 What does Trading Point Pro offer? 1.2 How does Trading Point Pro work? 1.3 What is the initial investment in Trading Point Pro? 1.4 What Profits can I make with this trading product? What does Trading Point Pro offer? It is my intention however to come into Trading Point Pro with a clear mind, and a view to ascertaining whether or not his best trading ideas are worth your time. This brings me to Trading Point Pro as a product. Unlike a lot of Agora Lifestyles efforts which are reliant on lengthy tomes, this is a simple newsletter. This stripped down and more frequent approach appears to be a very good thing as far as I am concerned for reasons that I will explore below. Trading Point Pro is sent out every weekday and it covers a rather impressive array of topics, all of which I feel go some way to showing off David Belle’s abilities. 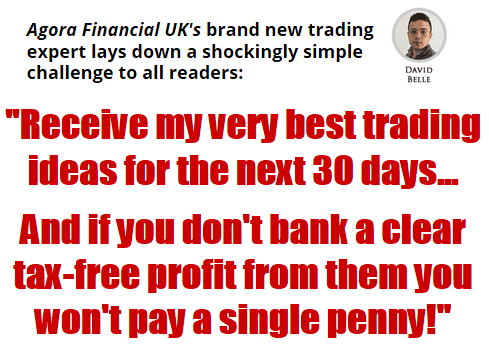 At the core of Trading Point Pro are two “tips” (my words, not David Belle’s, who has a blog here: http://davidbellefx.blogspot.co.uk/) which are issued weekly. Agora Lifestyle refer to these as “trade ideas”. There is a lot of cross over with tips here however as all that you are doing with this information is placing the trades that David Belle recommends. This is the easiest part of Trading Point Pro and for many people, this is what they will be interested in as it is the aspect of the service that can most directly make you money. This isn’t all that there is to Trading Point Pro either. David Belle says that if there is one thing that you will want to look out for, it is his “MAJOR BREAKOUTS”. This are supposedly points where the market can “quickly shoot to new highs or new lows”. These major breakouts are also referred to as the bread and butter of Trading Point Pro. It is worth pointing out that as well as these core concepts, David Belle says that he is also keen to help Trading Point Pro subscribers to become better traders in and of themselves. This means that you also receive advice on to predict market directions, manage risk and spot profitable trading patterns as well. 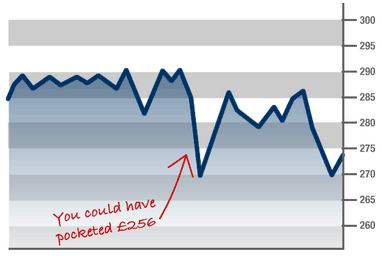 This also features charts, trends and market data “that could help you trade like a pro…”. Finally, you get full access to archived Trading Point Pro newsletters and a 30 page welcome guide. This isn’t particularly in depth on any one subject, but it does give you a good feel for what you can expect over the coming months with Trading Point Pro, as well as receiving information that will set you up to start following David Belle’s advice. The daily PRO version of my email The Trading Point.Delivered straight to your inbox, 5 days per week, you’ll receive exclusive insight on what’s happening in the markets. Unlimited access to my online issue archives.I keep all of my Trading Point Pro issues on a password-protected website – you’ll get immediate access to that when you join today. How does Trading Point Pro work? Unfortunately, there isn’t a whole lot of information made available on David Belle, something which I found to be rather surprising. With this in mind, I carried out some research and I have to confess to being pleasantly surprised. He has a strong background in finances including a degree in Economics as well as several jobs working for different trading companies. Whilst these haven’t been for long, I can’t help but feel like Agora Lifestyles have picked him out as a young “rising star” with a view to building a brand. This is all very positive. It does however lead me back to the fact that we aren’t really told much about David Belle’s trading strategies. The free guide that comes with Trading Point Pro does go into a bit of detail (which I won’t share here for obvious reasons). I feel that it can essentially be boiled down to the old caveats of hard work and analysis. What is the initial investment in Trading Point Pro? Agora Financial claim that the real value of Trading Point Pro is £97 per month, and that in the future, they will be putting the price up to this. Fortunately, if you subscribe to Trading Point Pro at the time of writing, the price will be fixed at just £37 for as long as you stay a member. As is usually the case with products from within the Agora Lifestyle group, there is a 30 day money back guarantee in place with Trading Point Pro. In fact, David Belle says that you can claim a refund on the first 30 days if you simply don’t like the product. What Profits can I make with this trading product? There isn’t really an advertised rate of return for Trading Point Pro outside of a few examples of choice trades which I am loathe to count. This is both understandable and also disappointing for me. I would have liked to have seen what kind of money David Belle can actually make, if only to add credence to whether or not his advice is worth following. The other side of this however is that only a small aspect of Trading Point Pro is about directly making you money and as such, it seems somewhat unfair to judge it solely on these grounds. Having looked over all of Trading Point Pro and weighed everything up, I am actually very impressed with what is on offer here. David Belle is young and seems to have a very solid understanding of his subject. This is a long way from the doomsayer economists who always seem to end up publishing their thoughts through internet marketing companies (usually under the guise of why you need to buy gold). More than this, the goals that the sales material sets out are not just things that I believe to be achievable, but are also the kind of things that genuine traders would want to look out for, like advice on how to spot patterns etc. All of this however pales when compared with the main reason that I am so impressed by Trading Point Pro and that is the cost and value for money. How losing everything made me the success I am today… My first experience of trading real money on the markets was every beginner’s nightmare. But I learned a lot from that experience and it’s made me a better trader today. Why your broker is NOT your friend. Trading the markets is a dog-eat-dog world. I’ll show you how you can survive it. How my unique trading system works. See it in action for yourself and discover how it uncovers major market moves – before they happen. Services like this are usually well overpriced because the operator of the service portrays it as a gold mine. This clearly isn’t the intent of David Belle and it gives me a lot of hope. What I have seen so far has been to a decent standard. There is a strong feeling for me with Trading Point Pro that David Belle genuinely wants people to exceed and he isn’t simply pushing investments because it suits Agora Financial. Whether that will be the case in the future remains to be seen. With all of this in mind, those looking for something that will generally help them with home trading could do a lot worse. The price for Trading Point Pro is very reasonable and I think that 30 days is enough time to allow users to make an informed decision. As it stands, I also think that if you are looking for some inspiration and direction, Trading Point Pro is well worth your consideration. Unfortunately, I have to stress that I feel like this service could well change form in the future. This is however based more off previous dealings with Agora Lifestyles than anything that David Belle particularly says. As this is basically a review regarding a Forex trading products, you may wish to read exactly the pros and cons around such trading, so my advice would also be to do your research. Trading Point Pro is a new Forex trading product from David Belle that aims to teach the user, the buy how to trade on Forex for a profit. How old is David Belle,, he looks alittle young on there to be an experienced Forex trader? I know people who have made money since they were in school, in activites and niches that you would never have considered possible. If I was to take a guess, I would say mid 20’s. I have looked at this product a few times as I have bought from agora in he past but nothing ever seemed to work so I always check these type of reviews now. good, well thought out review.